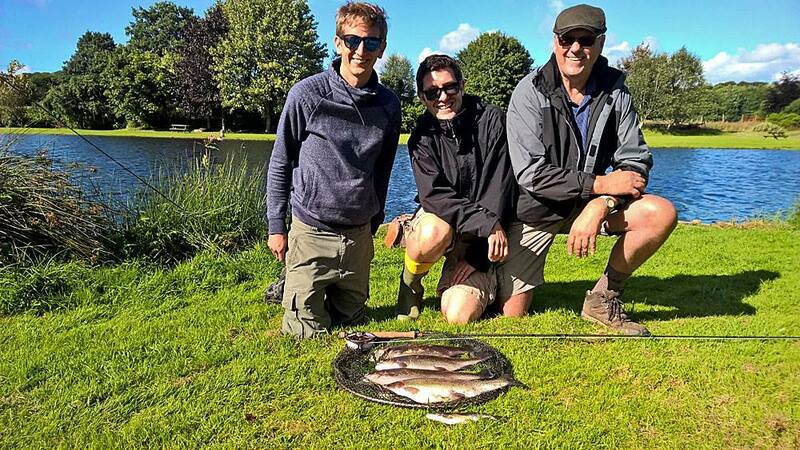 Wistlandpound Fly Fishing Club members travelled to Exe Valley Fishery to compete for the secretary’s Shield. The weather forecast gave the rain clearing away by mid morning but on this occasion this proved a little premature as heavy rain persisted for the first couple of hours with the Anchor Lake overflowing into an already swollen River Exe. The wind had however abated from the gale force winds of the previous two days that had been courtesy of storm Callum. 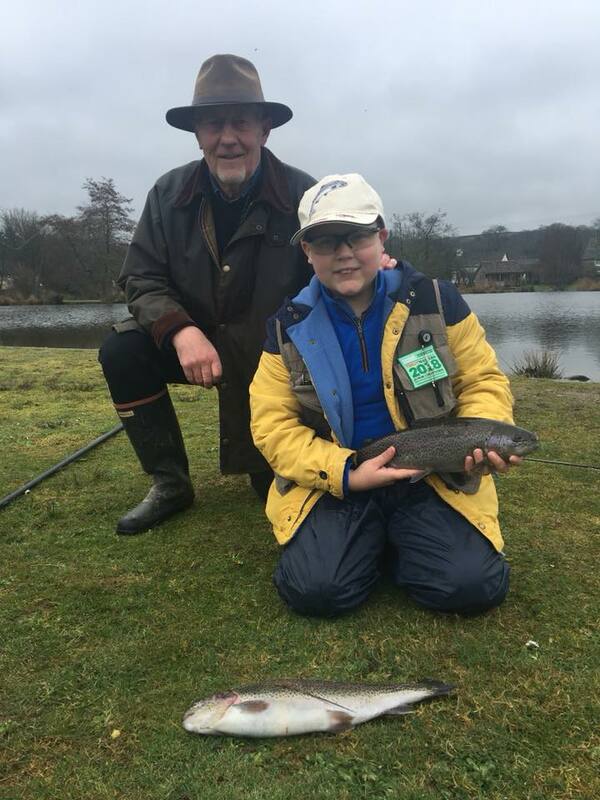 It was relatively mild and trout were rising from the start of the days competition. I started off with a damsel nymph and hooked into a hard fighting rainbow of around 3lb within ten minutes of starting. A few more follows and takes followed but as is often the case the trout seemed to grow warier as anglers lines splashed upon the water. Noticing several trout rising a couple of yards along the bank I relocated; tied on a daddy longs imitation and fished it very slowly to quickly complete my three fish limit of fish to kill and take. 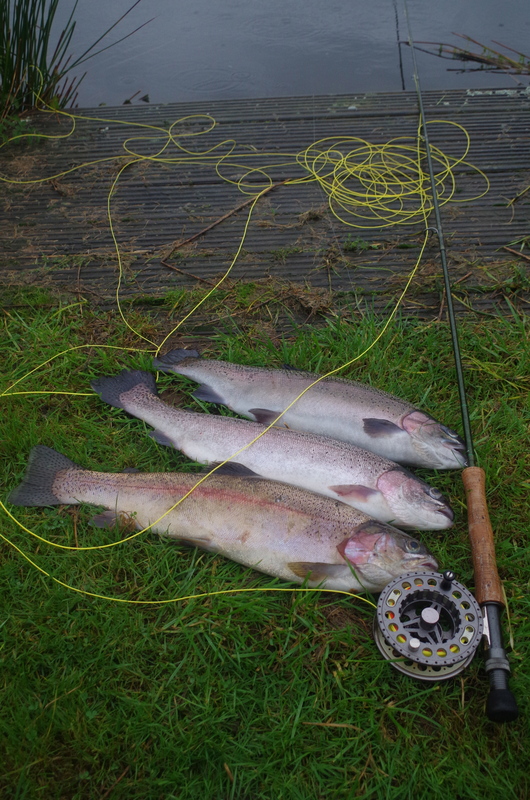 Other members were also catching trout on a regular basis with small imitative patterns outscoring lures. It was now time to snip off the barbed hooks and go catch and release for the remainder of the day. This proved both fascinating and frustrating for me as I successfully hooked a succession of trout on buzzers and diawl bachs all of them coming detached before reaching the net. 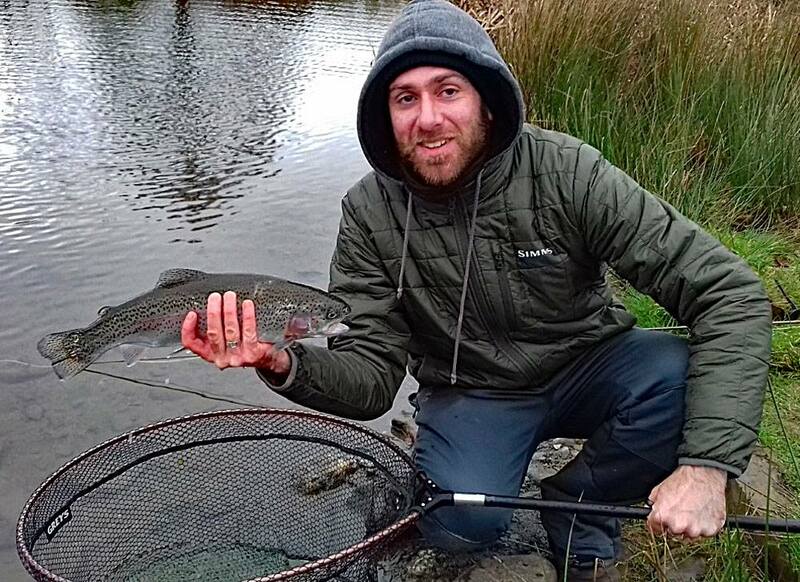 This wasn’t really an issue as the most exciting part is hooking the fish and all appeared to be fish between 2lb and 4lb and whilst it is good to get them to the net its not important as it the successful deception that matters in this instance. By mid afternoon all members had completed their three fish bags and gone on the enjoy some catch and release action. 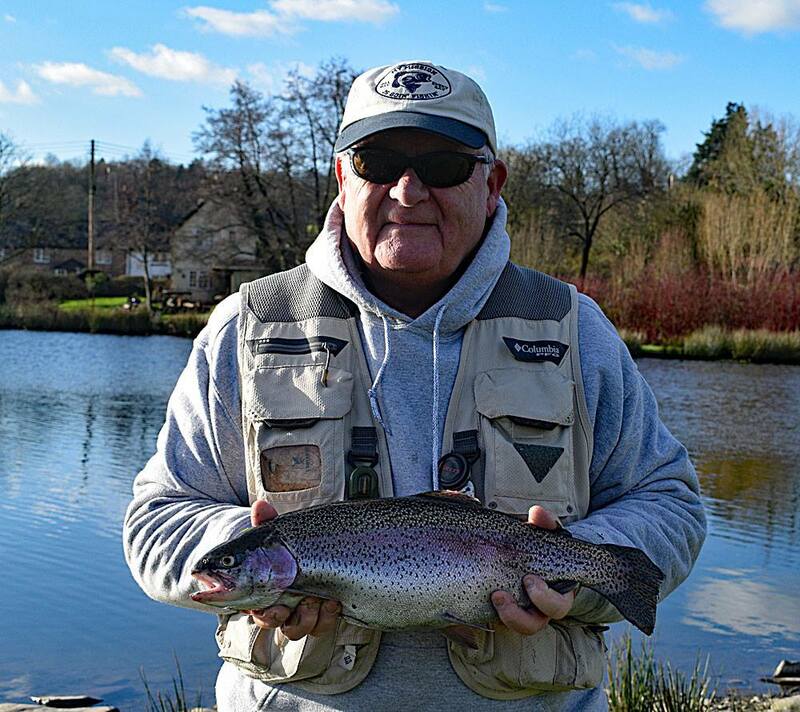 The competition was won by Dave Mock who weighed in three trout for total of 9lb 14oz. Runner up was Colin Combe with three for 9lb and third myself with three for 8lb 14oz. 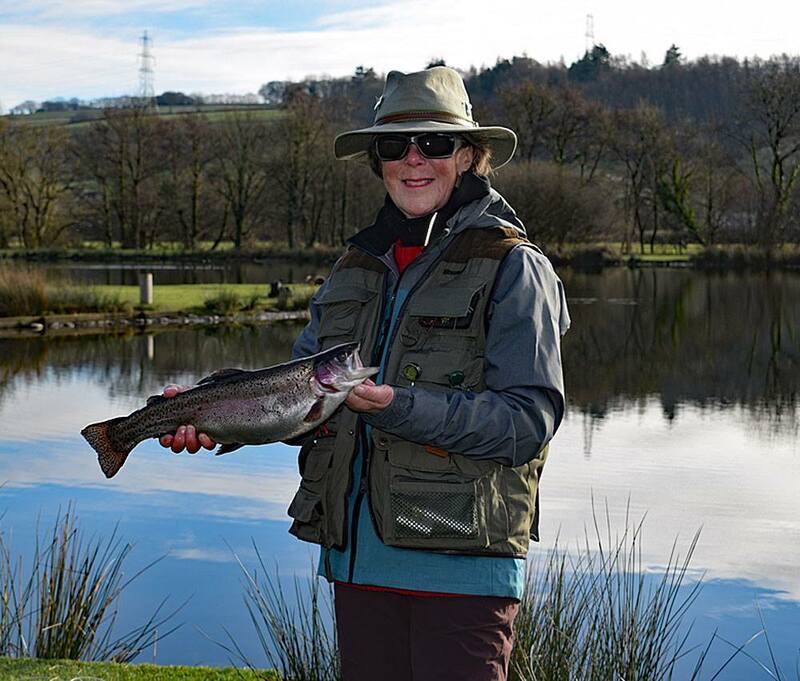 The trout averaged 3lb for the day with all members taking their allocated quota. The innovative pricing structure combining various options of catch and release and catch and kill gives excellent value depending upon individual preference. The lake is can now be fished without hindrance from weed and the water remained clear despite the flooded river Exe racing past full of turbidity and flotsam. 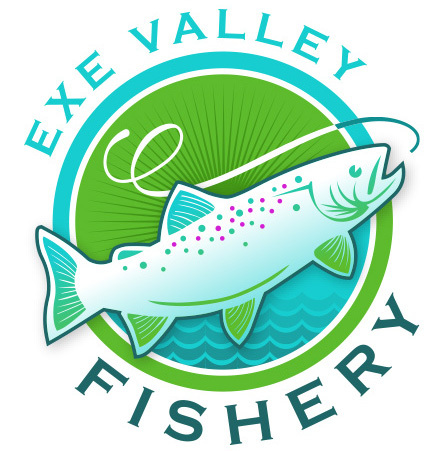 Nick Hart at Exe Valley is seeking help in an innovative project where anglers get the chance to join in with the fishery in maintaining the quality fishing they love. Its the first time in around a decade that we have seen so little algae (blanket weed) at Exe Valley, despite this summers high temperatures. Check out the pic taken today and note in particular how clear the lake bed is. 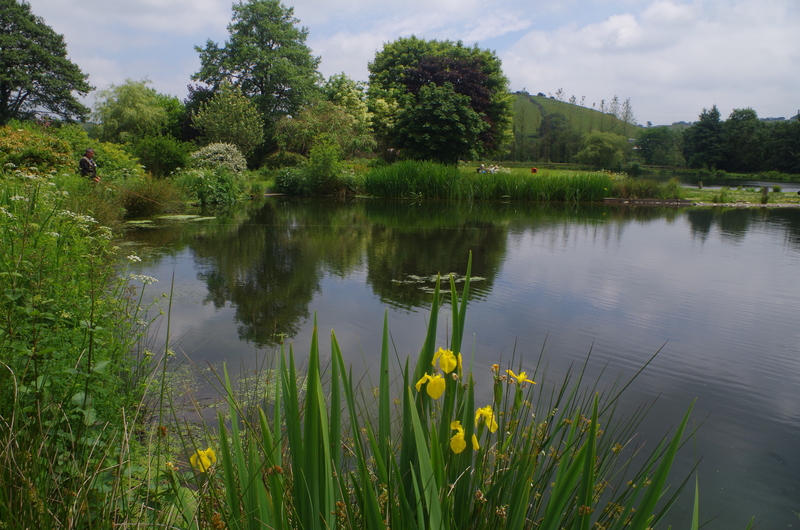 However the pond weed is now spreading quickly and so next Sunday 8th July we will be closing to clear as much as possible using our very successful weed rakes, boat etc. But we need some help! Would you like to join us for a weed party?! 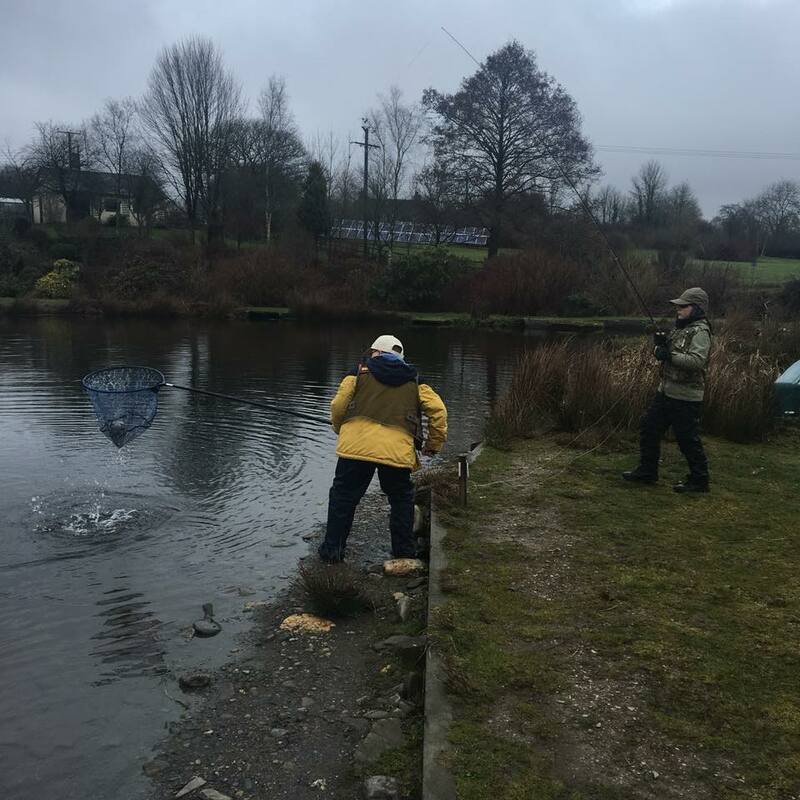 The deal is we drag as much weed out of the lake as possible and those who help receive 2 x 3 fish permits for their efforts, a BBQ and beer into the bargain plus the satisfaction that they have helped us to keep the fishery open. On Thursday 28th Sept 2017 Nick cast aside his old wading boots and set off for Farlows of Pall Mall below is an extract from Nicks latest Newsletter. Fed up with the winter? 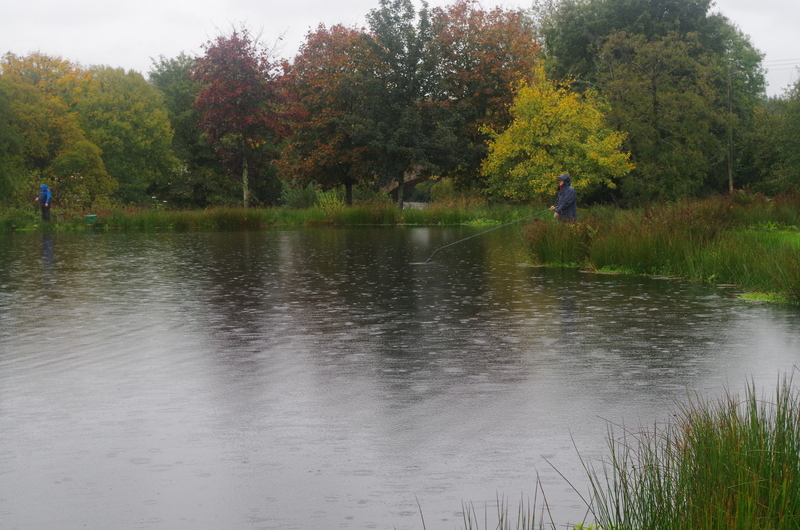 Following the terrible UK weather experienced during the past few months at last the fishing season is open! To kick off I would like to welcome you to my first update of the year including news of my move to the world famous Farlows of Pall Mall and the latest from Exe Valley Fishery. After many requests I am pleased to report that I will be swapping my Chinos for Waders, hosting a very limited number of guided days during 2018. Dates are available in April, May, June, July, August & September fishing for wild Brown Trout (on stunning Exmoor rivers like the one above!) 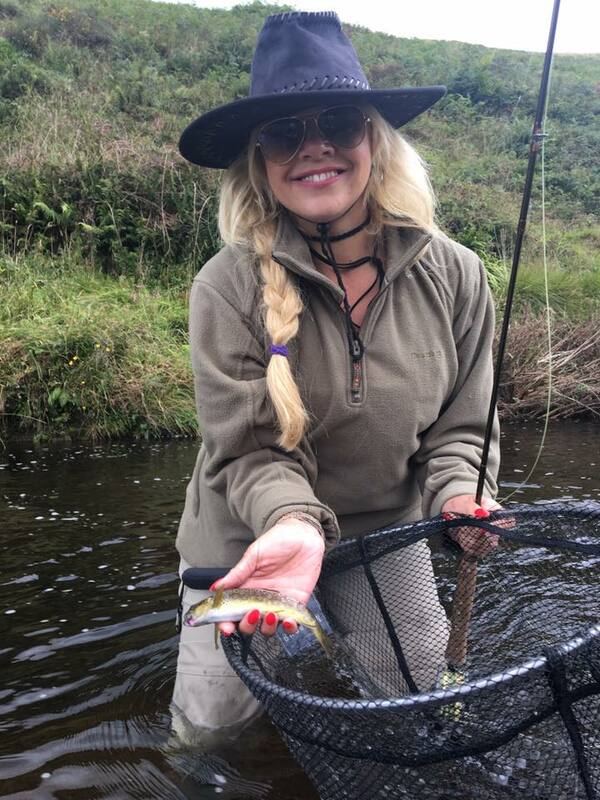 and there are also my unique River to Rock Adventures which offer the chance to experience both West Country Trout and saltwater fly fishing for Bass on the North Devon Coast. 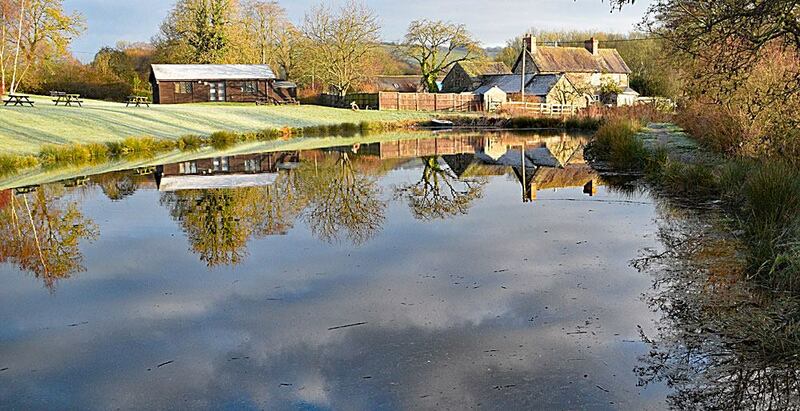 It has been a tough winter at Exe Valley Fishery with low footfall due to the inclement weather. 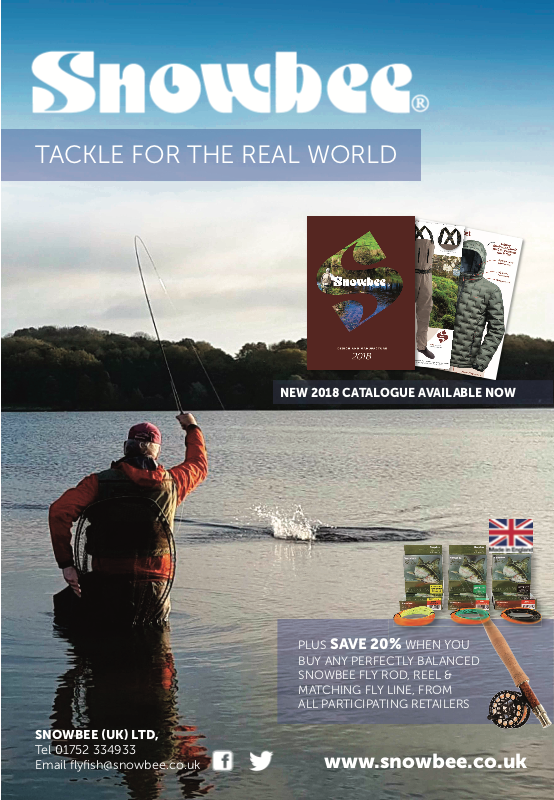 But now that spring seems to have finally sprung we are back in action with fresh stock introduced on a regular basis and our Catch & Release option launched last year continues for the same great price of just £25. 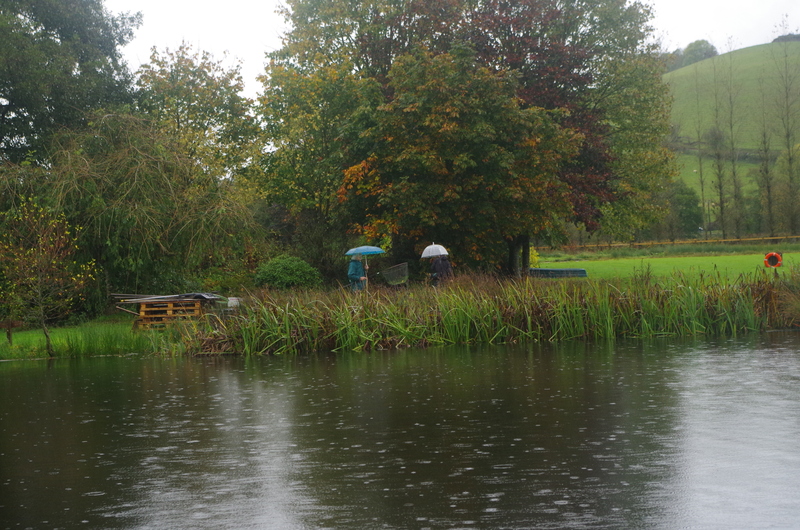 The bad weather endured throughout March has not been good news for fishery owners as Nick Hart Reports in his latest news brief from Exe Valley Fishery. 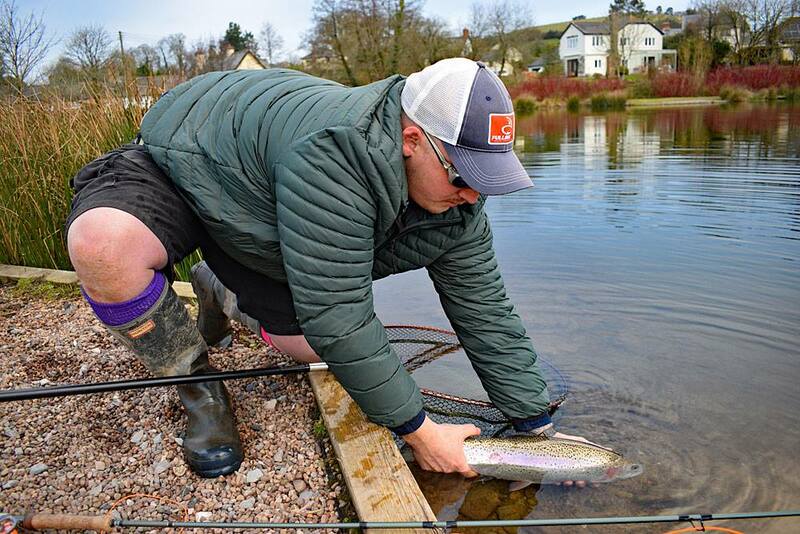 It is to be hoped that springs warmth soon descends to encourage anglers out to the waters edge. (Below )John Slaven with an Exe Valley Trout – one of just 44 anglers who fished at Exe Valley during March! The weather during the last few weeks has resulted in our quietest March on record with just 44 anglers visiting (yes, that’s correct …just 44!) 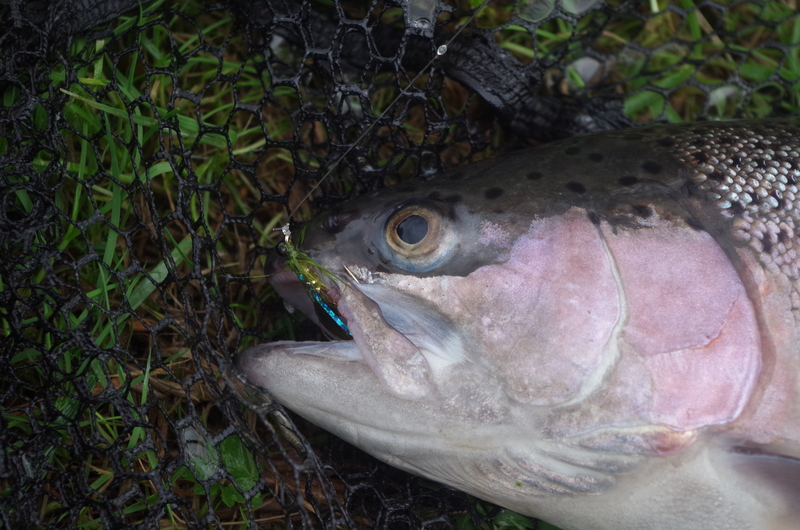 … 11 of them for the Troutmasters match which had to be rescheduled due to snow. Despite the lack of customers, we continue to maintain and stock the fishery as always, shown in the catch figures of 153 fish caught by the 44 anglers up to 29th March resulting in a rod average of 3.5.With the continued changeable conditions and lack of footfall we have regrettably taken the decision to delay the reopening of Lobbs Lake until such time that we feel the venue will have the support required to operate the lake on a day to day basis. 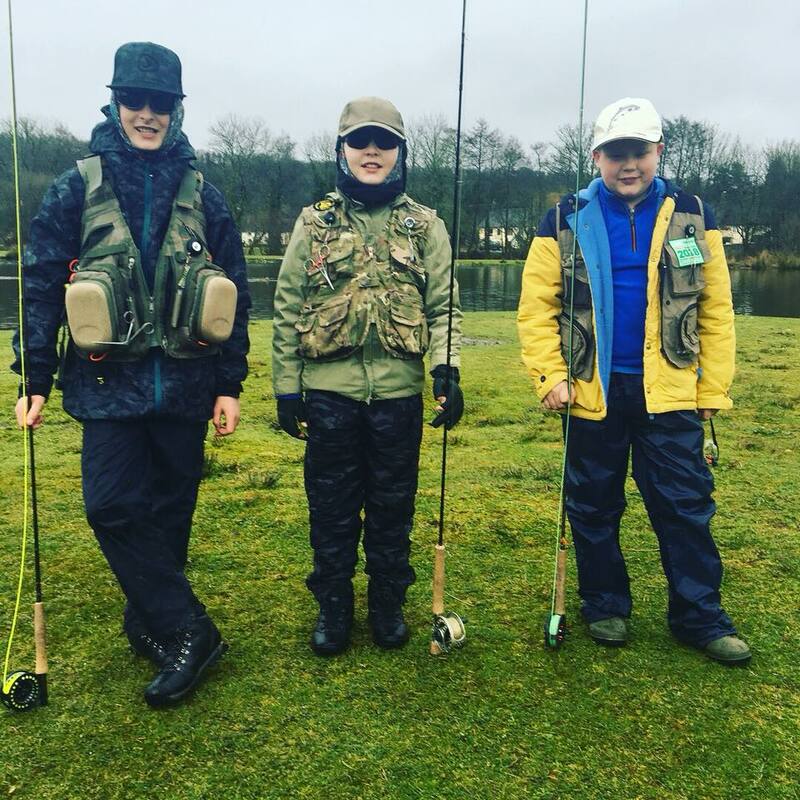 It is imperative that we encourage as many young anglers as possible into angling to enjoy a lifelong pastime that is proven to be for good mental health, social interaction and awareness of the natural world. 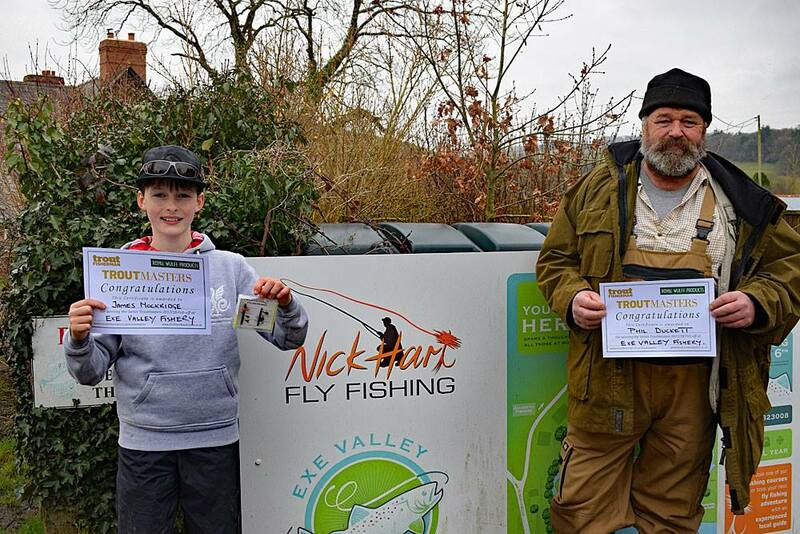 BIG congratulations to junior winner James Mockridge with 5 fish for 13lb including a 1 hour time bonus and senior winner Phil Duckett in his first comp with 5 fish and a 2 hour bonus for 16lb. 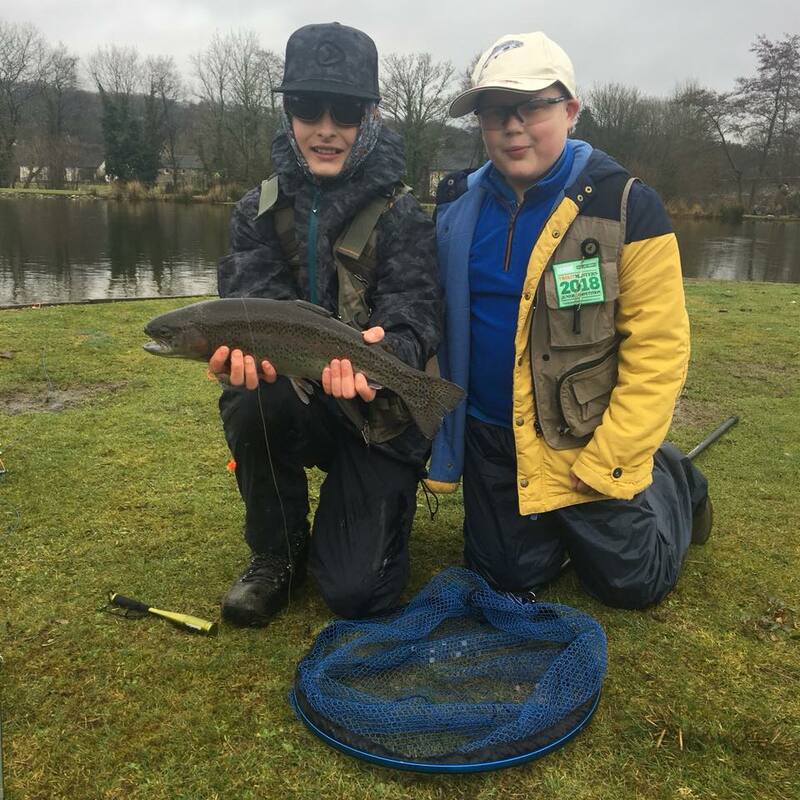 And finally 9 year old Max Mockridge & 10 year old Sam Shepherd both got 4 fish each and weighed in at 9lb 12oz to tie second place! 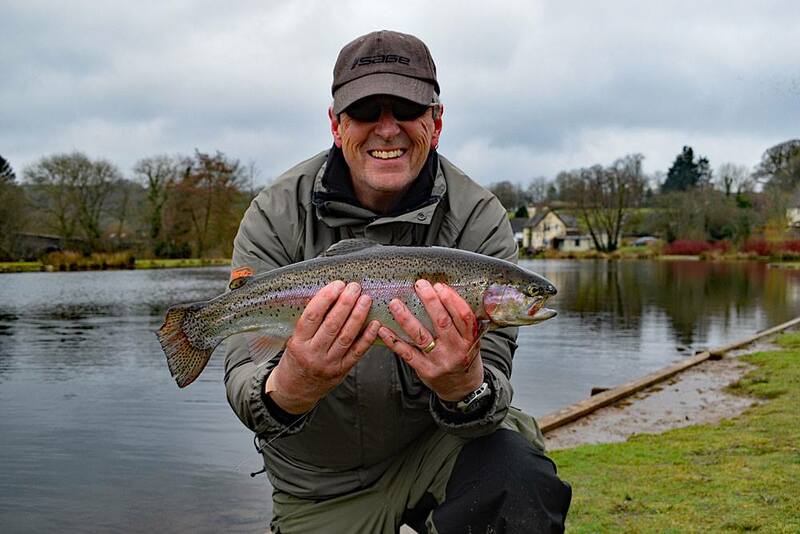 Exe Valley is fishing well as spring arrives as this latest report from the fishery illustrates. 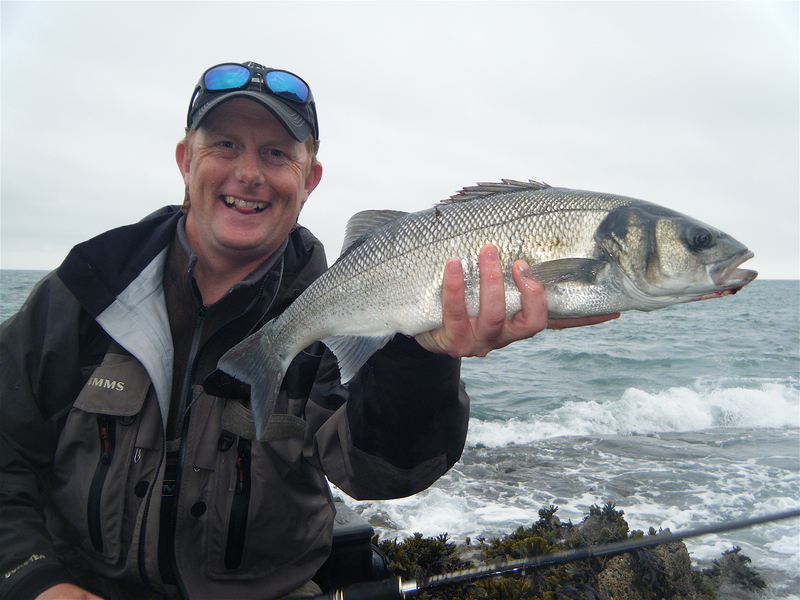 I have known local angling Guide Nick Hart for many years and fished with him on numerous occasions on local waters. 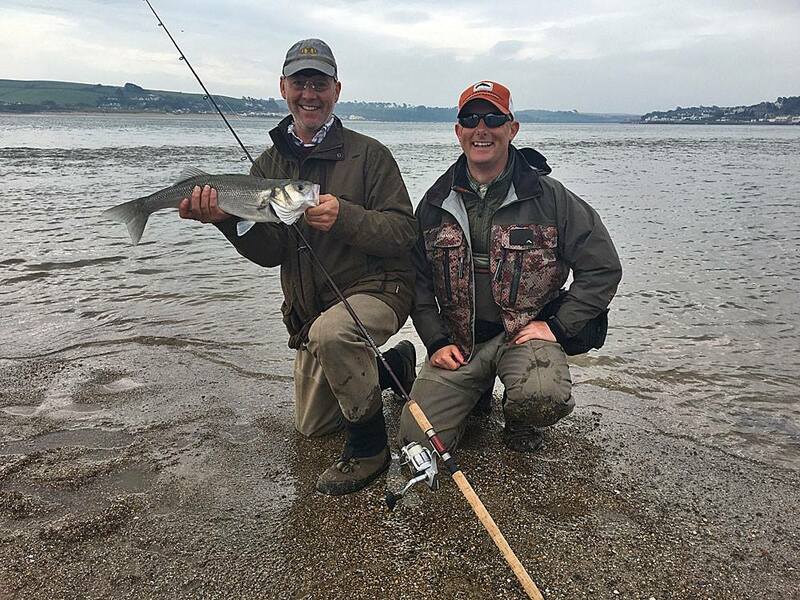 Nick has supported North Devon Angling News since it formation in 2016 and that support has been much appreciated. 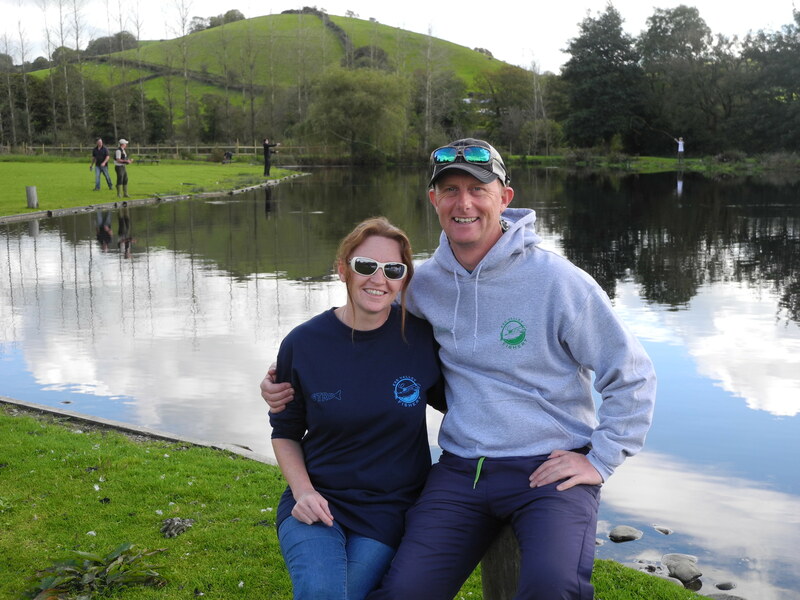 After twenty odd years of guiding Nick is taking on a new role as fishing manager! at the London based Farlows store located at 9 Pall Mall, a business with an incredible 177 years of history, by Royal appointment and intrinsically linked to the DNA of fly fishing. Congratulations to Nick in his new venture. 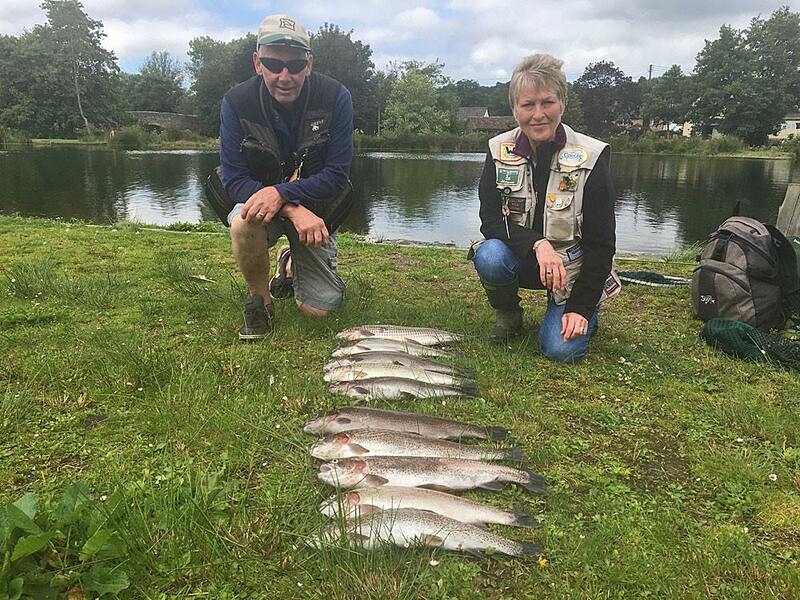 Nick Hart at Exe Valley writes : I Just love introducing new people to fly fishing and this weekend I have been looking after The Crawfords … and how well did they catch?! 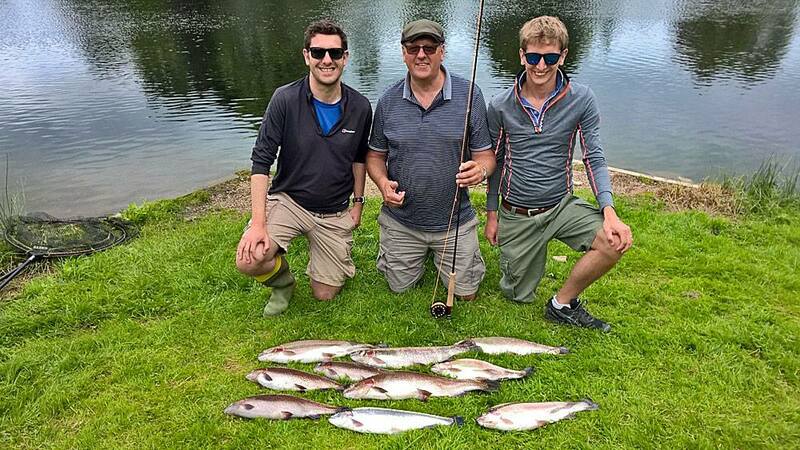 Celebrating Robins 60th birthday, his sons Adrian and Gary treated the 3 of them to a weekend away on Exe Valley. 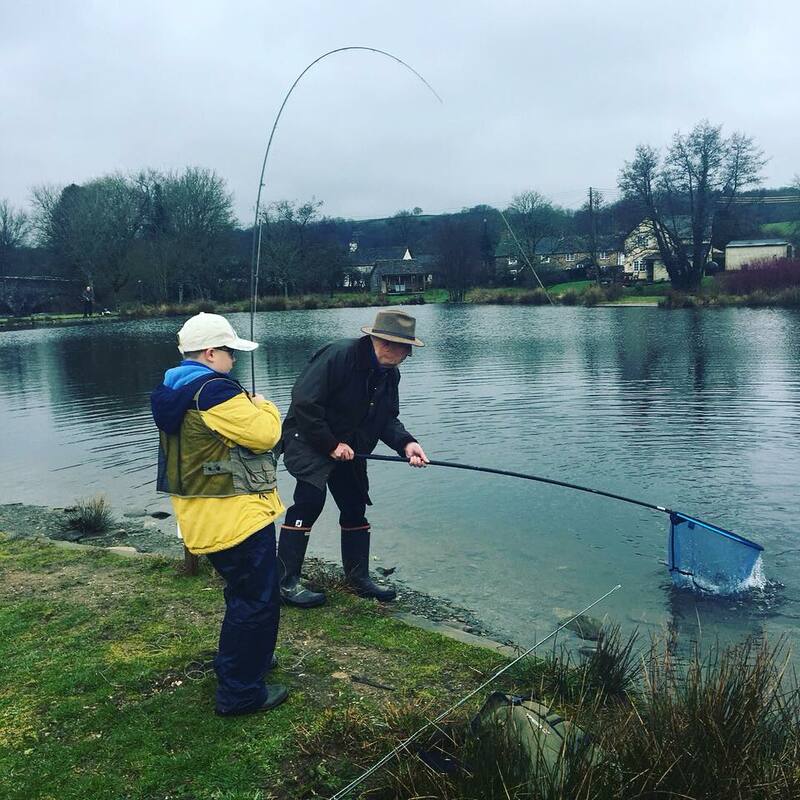 After casting tuition yesterday they got stuck into the fishing and in tough bright windy conditions picked out 4 nice Trout (and a whitebait!) using a washing line with Blobs. Better was to come as today they excelled with Robin fittingly topping the leader board with 4 Trout to 6lb. Their total bag of 10 pulled the scales down to 36lbs … and they lost at least another 6. All fish caught on #14 quill buzzers in the top 2 feet. Very well done guys it has been a pleasure to fish with you this weekend! 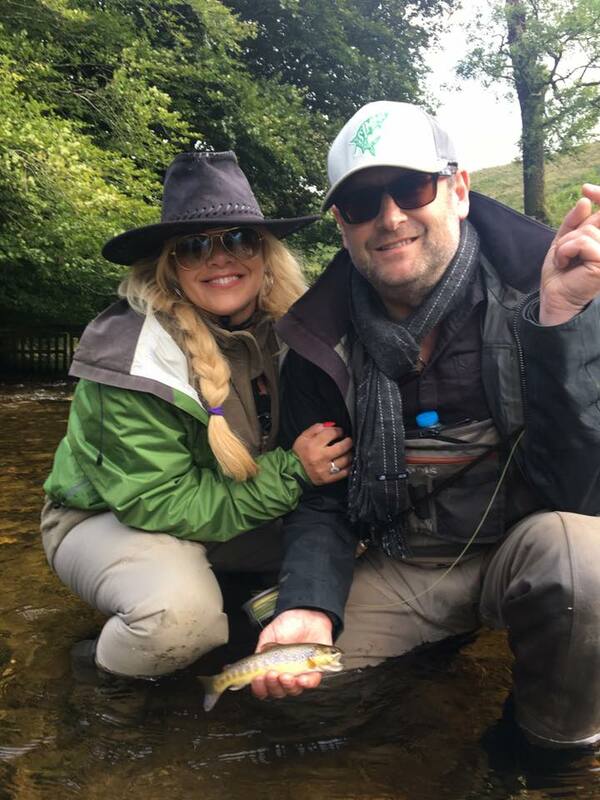 Russell Hill and Samantha Fullerton joined NIck Hart on Exmoor’s wild streams chasing the beautiful wild brown trout that abound in these clear waters. 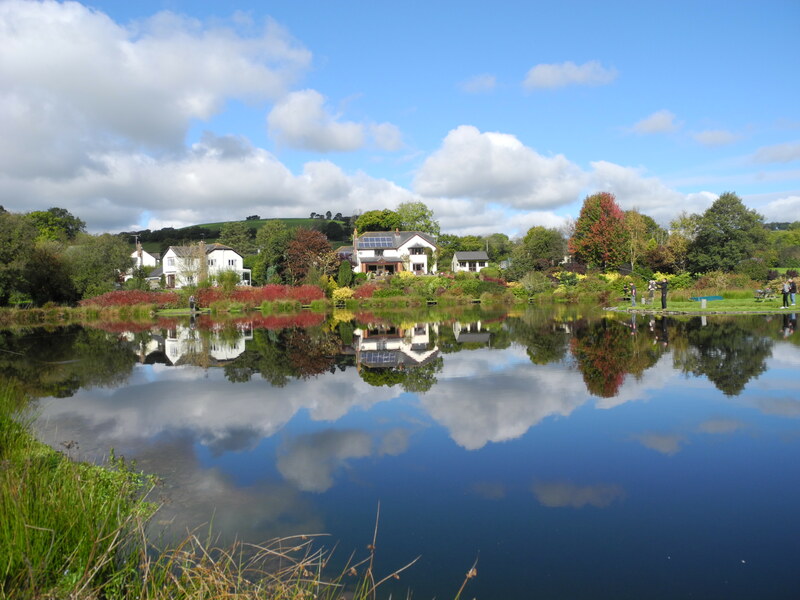 It looks like the work to improve Exe Valley Fishery and most notably Anchor Lake is paying off as the venue has just been voted as one of the Top 100 UK Still-waters by the Trout Fisherman magazine. In fact the fishery entered the top 50, reaching 42nd place, even better news, this year the water remains open to anglers after last year’s disastrous summer when I had to close. There is no doubt that the cooler air and heavy rainfall have helped, but extensive work to clear weed has also assisted.